The Club’s Equestrian Center hosts trail rides that members may enjoy on their own horses or one of many club-owned horses. 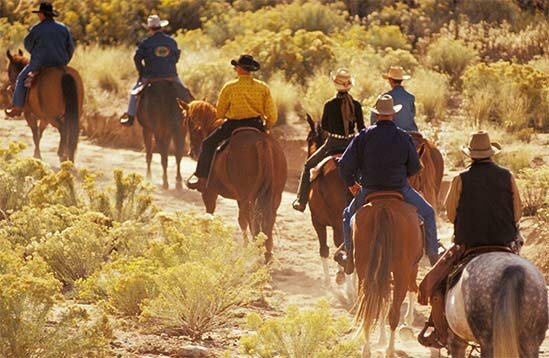 Trail rides can range from adventurous extreme trail riding conditions to a beautiful dusk sunset ride followed by dinner at the Club’s Log Cabin. Organized off-site trail rides can be enjoyed throughout the season. Ever been to a BBQ in a barn? The Club hosts several member events at the Equestrian Center’s beautiful facility each year. From Dances with Horses performances to a BBQ with live entertainment, this is the perfect venue for creating memories at Las Campanas.